English. Metal. Grey is a misspelling for great. Etymology English. Metal. Grey is a misspelling for great. 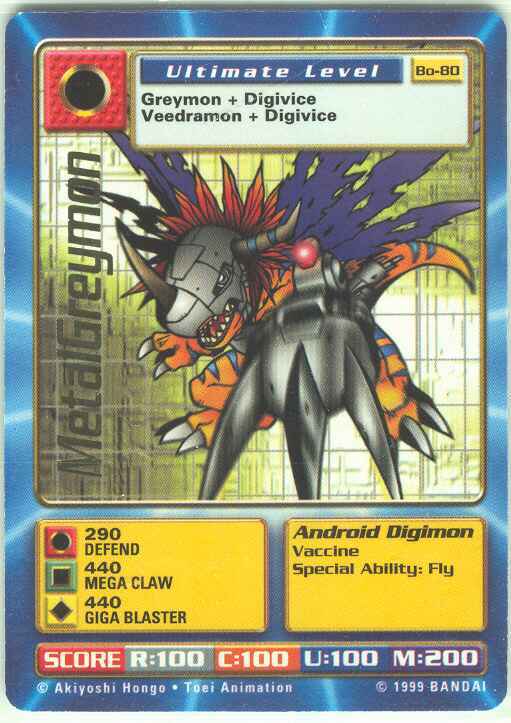 Note-2 This MetalGreymon first appeared in Digimon World Card Battle as 'TrueMetalGreymon' and in North American version Digimon Digital Card Battle as RealMetalGreymon. 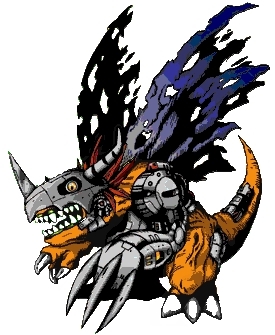 The Digimon called 'MetalGreymon' in the game is actually MetalGreymon (Virus). It looks just like MetalGreymon, except it has three attacks that are unique and more powerful than the standard MetalGreymon. 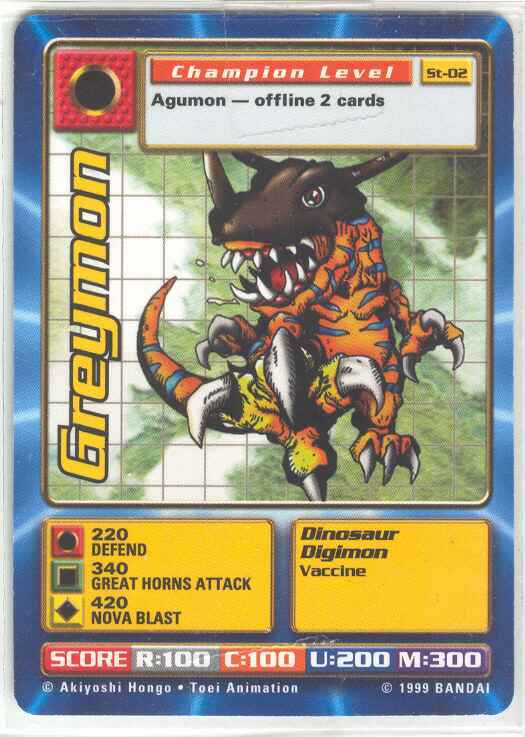 Only one card was created that represents this more powerful MetalGreymon. - Source created by ? - Toei picture was created by ? - Bandai picture was created by ? - LCD picture was created by ?